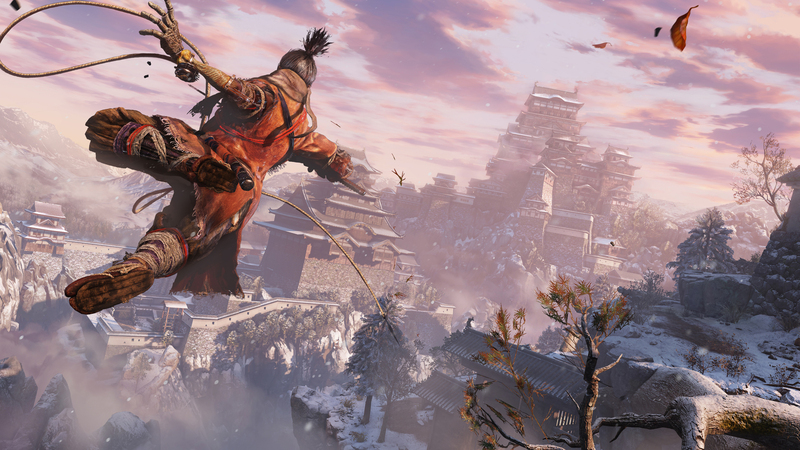 PlayStation Underground has published 12 minutes of new gameplay from Sekiro: Shadows Die Twice, showcasing a boss battle with the “harrowing” Corrupted Monk as part of an extended gameplay walkthrough. The video below also offers a look at a never-before-seen area. Brought to us by the makers of Bloodborne and Dark Souls, FromSoftware, Sekiro: Shadows Die Twice will feature “fantastical, mystical, and grotesque” beings, according to director Hidetaka Miyazaki. However, the game will be relatively grounded compared to the studio’s previous work. That said, you can expect similarities between the aforementioned titles in terms of scope and size as FromSoftware recently said that Sekiro: Shadows Die Twice‘s play time and content volume is “probably not going to be too different” from Bloodborne or Dark Souls III. Sekiro: Shadows Die Twice will release on March 22, 2019 on the PlayStation 4, Xbox One, and PC. The game will be published by Activision. What do our readers think of the gameplay?